Product code: B17 Categories: Cotton, Floral & Trees, Luxury Fabric, Pinks, Purples, Scutt & Coles, Yellows. 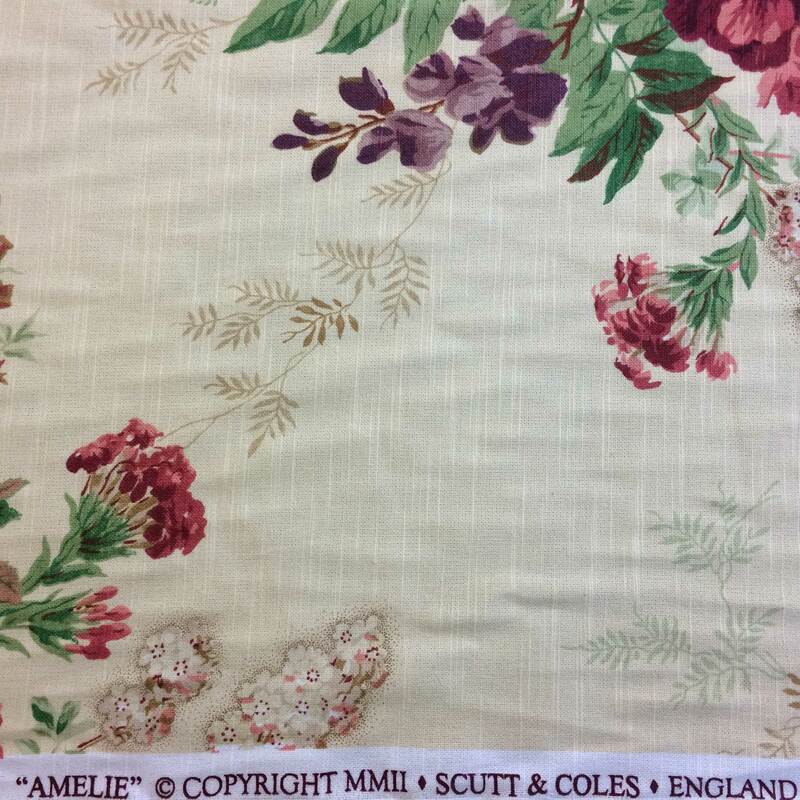 Amelie in Raspberry Plum by Scutt & Coles is the headline fabric of the Amelie Collection. 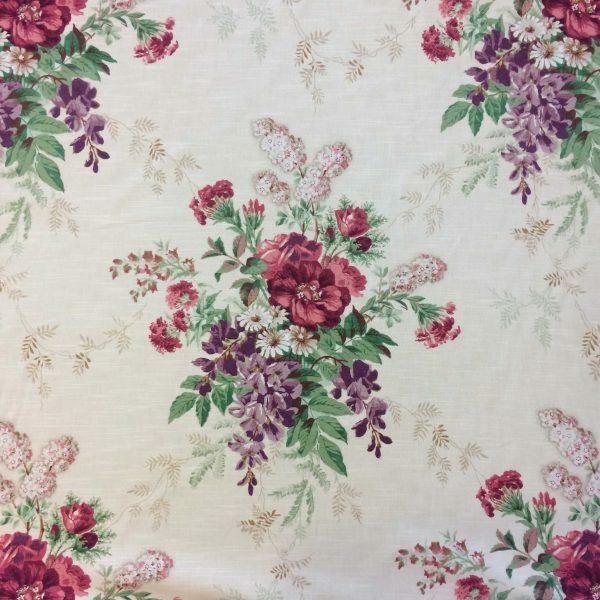 In colourway raspberry and plum, the fabric base is a buttery yellow with feature floral bouquets. 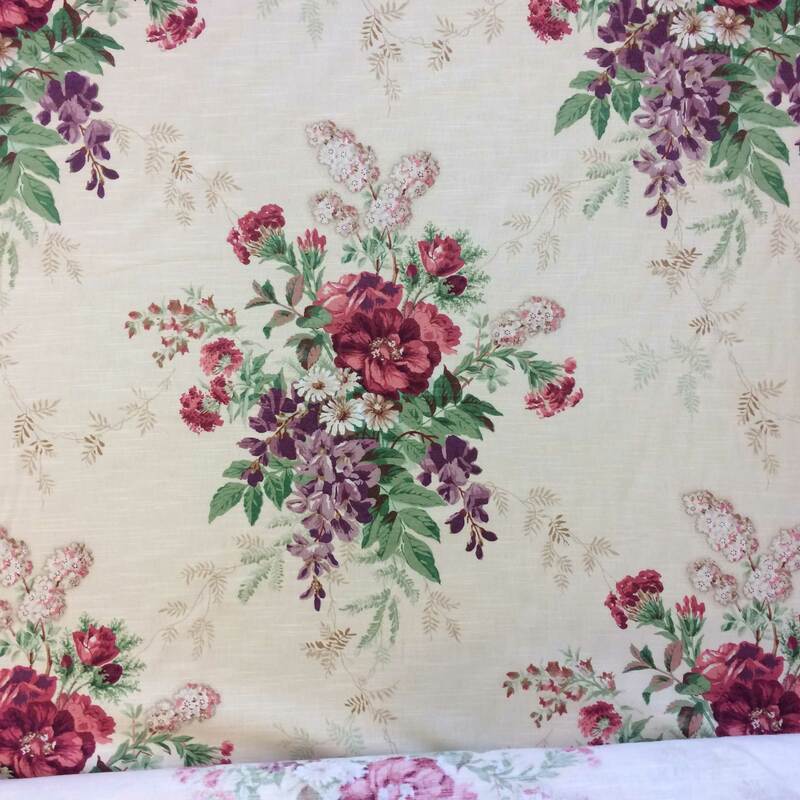 We suggest using this fabric in a sitting room where you can really show off the beautiful design. The fabric is 100% cotton, which is strong and drapes particularly well. 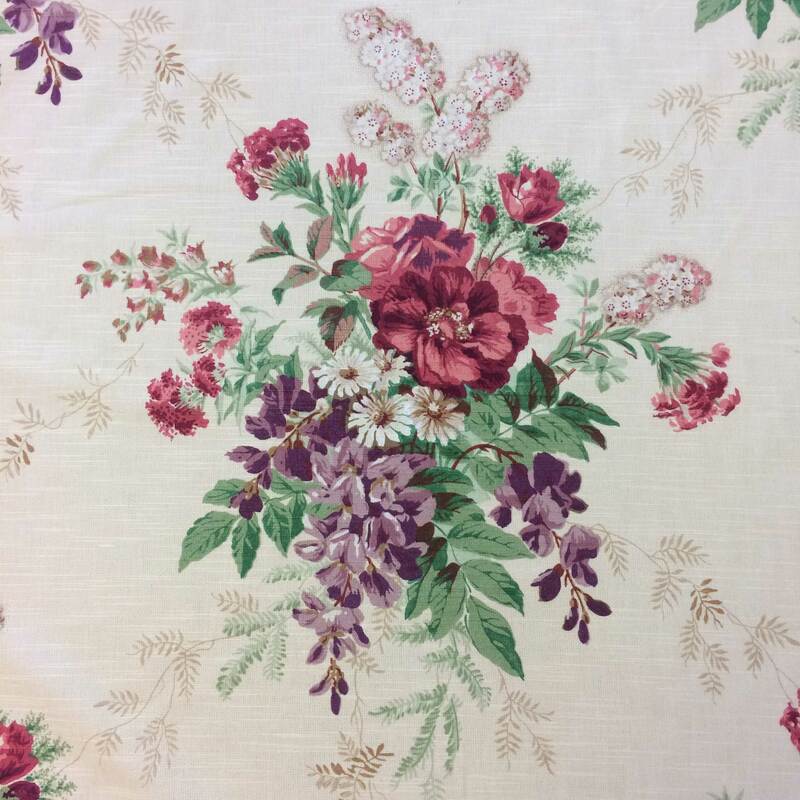 Therefore, the fabric can be used for curtains, blinds and light domestic upholstery. We would opt to use this fabric to make up a beautiful set of drapes for a sitting room as the fabric drapes so beautifully. Equally, the fabric has excellent pattern coverage which is perfect for an armchair. The fabric measures 1.37metres in width, excluding selvedge. While there is a large pattern repeat measuring 70centimetres. Scutt & Coles care guidance advises that the fabric can be cleaned with a mild wash and pressed with a cool iron. Do not bleach or tumble dry the fabric or Dry Cleaned with solvents other than Trichloroethylene.